"Throughout history, the powers of single black men flash here and there like falling stars, and die sometimes before the world has gauged their brightness." 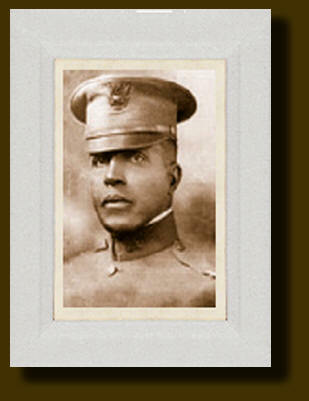 Charles Young was the third African American to be graduated from West Point and the first to attain the rank of Colonel in the United States Army, which in 1917 was unprecedented. After Young's graduation from West Point, it was 47 years before another African American was to be graduated, and those 47 years - between 1889 and 1936 - were some of the most racially charged years in American history. . . years when the seeds of racism, planted during slavery, became entrenched into the American social order. . . seeds that are still being cultivated by far too many people. We now, more than ever, need a national dialogue that takes us back - historically - to the core of our racial problems...for I view racism as "America's Achilles Heel". However, we need a dialogue about racism that can be done positively through studying the life of an historic African American who lived during that period and excelled, after our Civil War, beyond the expectations of most white Americans. We need to study the entire life of this historic African American who - though subjected to some of the most demoralizing racist tactics during the pursuit of his career - remained dignified and doggedly strong about the value of his country and his race. Colonel Charles Young was such a figure because his story parallels events following the Civil War that cultivated the roots of racism planted during slavery...a period that must be reviewed and better understood if we are ever to recover from the entrenchment of racism into the social order of America, especially if we are to maintain the high moral ground of a leading nation in the global community of the 21st century. I am dedicating this website to the Memory of Colonel Charles Young by presenting to the WORLD his story in projects that I completed 32 years ago. To turn individual pages, please scroll down to the bottom of each page and click onto the waving U.S. Flag.